The ThinkRF R5550 can be used as an RF Downconverter to extend the range of existing spectrum analysis up to 27 GHz. 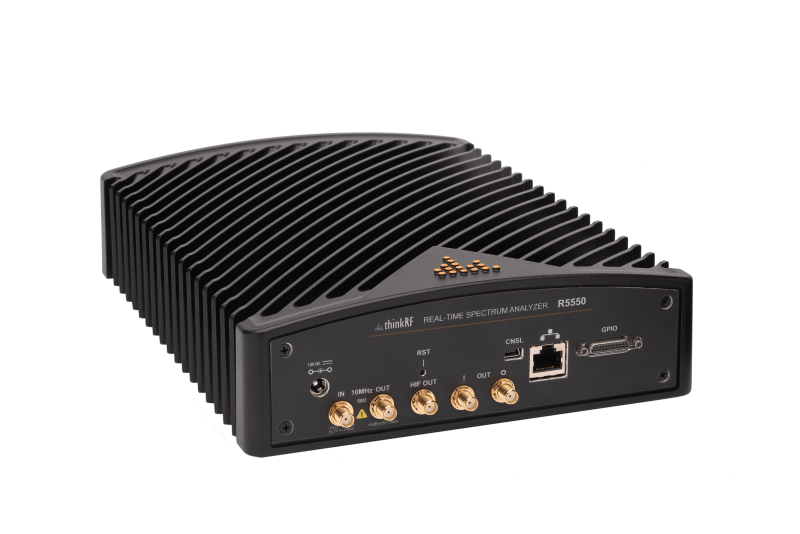 The R5550 features breakthrough performance and coverage for its size and cost, making ideally suited for applications such as electronic warfare systems, frequency conversion, interference testing, and spectrum licensing and monitoring. Analyze today’s complex signals with up to 160 MHz direction conversion (0 Hz IF) I and Q analogue ports on the WBIQ model. 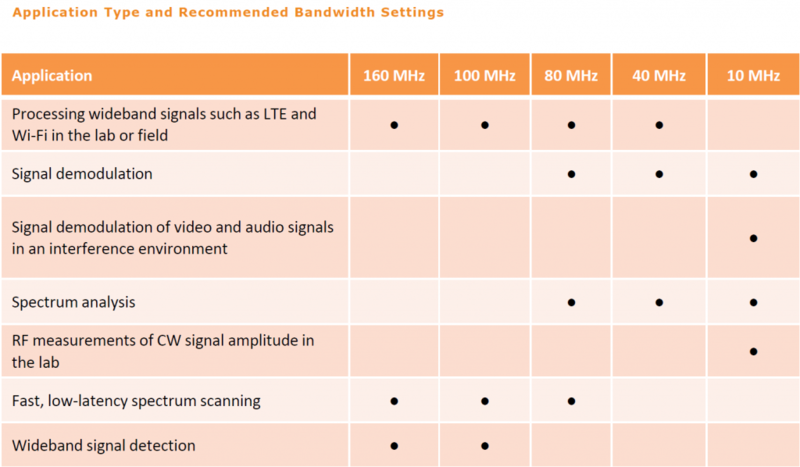 The wideband version is engineered for analyzing wideband digital communications such as 3G/4G/LTE, WiFi, or general Vector Signal Analysis (VSA) applications involving broadband signals. 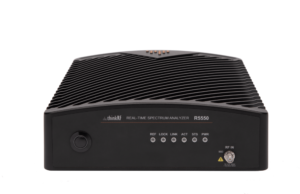 The ThinkRF R5550 devices are versatile, wide frequency coverage receivers that can be employed as wideband downconverters featuring a single RF input and three standard software selectable IF bandwidths – 10 MHz, 40 MHz, 100 MHz, or three optional software selectable IF bandwidths, – 10 MHz, 80 MHz, 160 MHz. The carrier centre frequencies can be tuned from 50 MHz to 27 GHz, including direct digitization below 50 MHz down to 9 kHz.